That’s right its been at the centre of controversy now for almost 20 years. Microsoft’s Internet Explorer was launched in 1995, and has had a long and eventful life taking out many competing browsers during this time. At one stage IE had over a billion users. 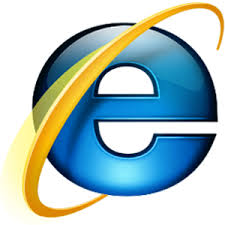 However by about version 6 or 7, Internet Explorer or IE as it was now known started to get some bad press. Security flaws where developing as well as some bad implementations of web standards. Microsoft will now distribute a stripped down, faster browser more suited to multiple devices in its release of Windows 10. Microsoft also acknowledges the rapid growth of mobile devices and realises nobody’s going to download Internet Explorer as their mobile browser. Despite the rebrand, a version of IE will be included in the next Windows launch as well as the Spartan browser, to aid companies that have developed software to work with the browser.